Liam O'Connor should have died at sea in 1912. But all three have been given a second chance - to work for an agency that no one knows exists. Its purpose: to prevent time travel destroying history . . .
Hunted by cyborg assassins from the future, the Time Riders must abandon New York and go on the run. They escape to Victorian London and the streets where Jack the Ripper roams. But, before they can establish their new base, they make their most shattering discovery yet - and it will change everything . . . This is probably the best Time Riders book I have read, it is also the one that I can't say too much about. So many things come to light in this book, none of which I can share with you, as I wouldn't want to spoil it for you. At the end of Gates of Rome, the truth about the Time Riders and the agency was revealed. In this book we see how the team deal with this new knowledge, and how it may change their objectives. It has always been the mission to keep ‘time’ on track, making sure any contamination in the past is dealt with and the world as we know it continues on the correct path. What they have found out is that the world is destined to destroy itself in the future, and their objective from Roald Walderstein has been to make sure this happens. When cyborg assassins are sent from the future to kill the team (because they know too much) they decide to branch out on their own, and move from Brooklyn to set up a base elsewhere. Their new objective is to save the world from destruction, and to only fix contamination's if they feel it supports their new goals. Hiding in 2001 in the USA is not going to work for them, as they will be too easy to find, so the plan is to find a new home in the past. The time and place they decide upon in London 1888 when electricity was first being introduced commercially in the city, they needed to be as far back in time as possible, but they still needed electricity to power their machines. That just so happens to be right around the time that Jack the Ripper was in full force. There are a few different story lines in this book. The main storyline is that of the Time Riders, starting in 2001, and then travelling back to 1888. There’s also the storyline of Agent Cooper who works for The Department (a super secret government department), whose job is to investigate anything ‘out of the ordinary’, very much like Scully in the X-Files. Agent Cooper is called in when two policemen are killed by extremely large superhumans’ and this leads to him finding out about the Time Riders and subsequently that Time Travel is actually a reality. 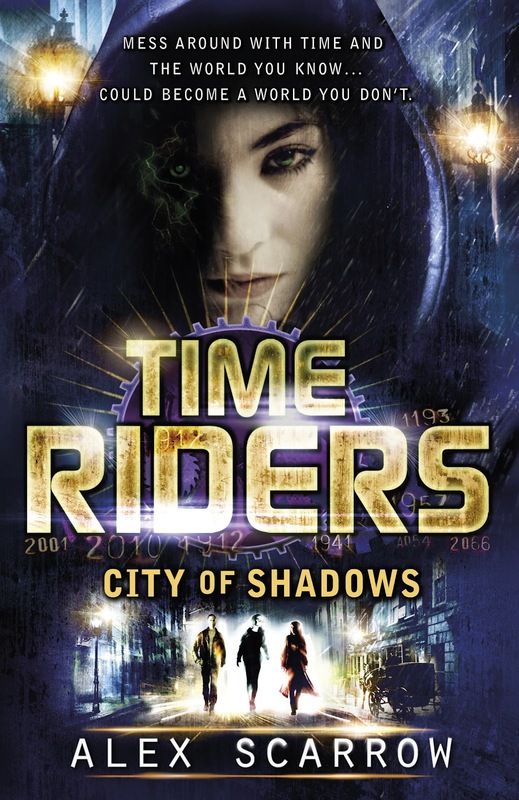 The other storyline is from the future 2055, which shows Roald Walderstein creating the first Time riders and what led to the situation the Time Riders now find themselves in. This book has a lot to say about human civilisation as we know it, and it looks at what has led us on this path to destroy our planet. The book is obviously fiction, but so many of the things that happen in the future of this book, could so easily take place. The other thing I found interesting about this book is the look at the days after the attack on 9/11. In the previous books, this day kept re-setting itself, so we only saw the day of the attack. Now that the Time Riders leave then tunnel, we get a glimpse as to how America reacted in the days after. I seem to have said a lot, considering I couldn’t say too much, but there are so many more things to discover in this book. To some extent this book would work as a stand alone title, but I would recommend that you read the books in order of publication, I think it adds more substance to the story if you know what has come before. It’s probably also worth noting that I think this book is slightly more graphic than the earlier books, not surprising when one of the story lines involves Jack the Ripper. Thanks for such a lovely review, more to the point, thanks for not dropping THAT HUGE SPOILER (you know the one I'm talking about). Great review.